New Delhi, 25th January 2017: Chief Coach Roelant Oltmans is a task master and no one knows this better than the members of the junior and senior men’s team who have closely worked with him over the past few years. At this year’s Coal India Hockey India League, the Dutchman who is also the Coach for Uttar Pradesh Wizards team will be closely watching the performances of both Indian senior and junior’s men ahead of an all-important calendar year. “I’ve told the teams clearly that the new core group for 2017 will be named not just based on their performances in 2016 but also in the Coal India HIL because this is a tough competition and if they want to be part of the national program, they ought to be good in this league and of course the junior team’s performance in the World Cup will also be a key factor in the selection process,” stated the Chief Coach for Senior Men’s Team. Oltmans was instrumental in contributing to the junior men’s team’s success at the Uttar Pradesh Hockey Junior World Cup Men Lucknow 2016 in Lucknow where the Indian team on many occasions came back from an early setback to win matches. The juniors showcased the ability of executing the strategic changes brought in by Coach Oltmans in the 10-minute break at half-time. “The boys are used to adapting to different styles and strategies, thanks to their exposure in the Coal India HIL where they get to train under different Coaches from across the world who bring in something new to the table which is not exactly the Indian style of hockey. I think this has helped the young team develop into a champion squad,” he added. “This year too, I would like to see the boys focus on what their respective Coaches want them to do and work as per their strategies. 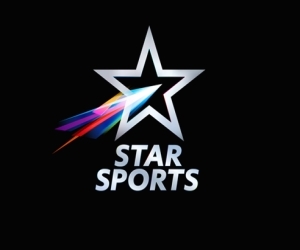 Though it’s still the early stages of the league, I have seen some significant contributions made by our boys (Indian players) but I am not entirely surprised because this was expected of them,” he further stated without naming the players who he thought were exceptionally good in the matches played thus far. From his experience at the Coal India HIL, Oltmans feels this league has helped foreign players too. “This League is very different from the European Leagues where the players get to spend several weeks with their respective teams. 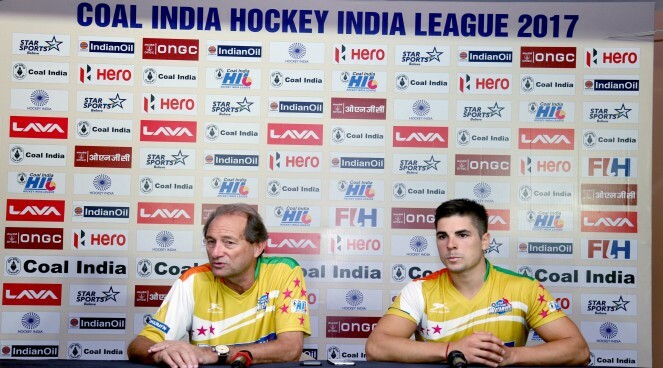 Here at the Coal India HIL, preparation time is short and you must be at your best game making it quite challenging and from what I’ve seen, this has helped in the development of many foreign players as they go back and have a fantastic season with their respective national squads after the Coal India HIL,” stated the 62-year-old Oltmans. On Thursday, the Kalinga Lancers who are currently leading the points table with two successive wins will meet home team Ranchi Rays in what promises to be yet another exciting encounter. The two teams earlier played to a packed stadium in Bhubaneswar on Monday where they were involved in a tough battle to earn the winner’s points. It was Kalinga Lancer’s forward Glenn Turner who fetched his team five points with two stunning goals in the 43rd and 49th minute of the match. The match ended with a 4-2 score in favour of the hosts. Though Ranchi Rays converted a late goal in the 53rd minute, it simply wasn’t enough to stop the hosts from earning their second win on the trot. While Kalinga Lancers opened their campaign with a 1-0 win against Delhi Waveriders, Ranchi Rays have drawn a game against Dabang Mumbai and lost a game to Kalinga Lancers. Hence, the Ranchi Rays will be looking for redemption when they take on the Moritz Fuerste-led squad and make use of the home advantage. While both teams are evenly poised when it comes to having a good mix of young and experienced, it will come down to the mental toughness of the teams and how they execute their plans. For Ranchi Rays, they need to come up with strategies to restrict potential threats in Glenn Turner, Moritz Fuerste and Billy Bakker who can change the course of the game even in the final moments. As for Kalinga Lancers, they will look to ride on the confidence earned from the two wins and stick to their plans as it’s worked wonders for them.